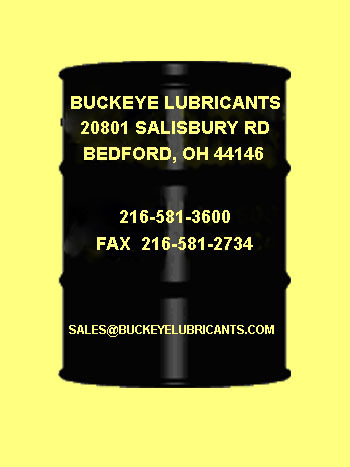 Buckeye Lubricants manufactures a number of synthetic metalworking coolants and the more popular ones are detailed below with links to data sheets for each one. Buckeye 12MN-TI is an improved grinding coolant suitable for all grinding operations with particular capabilites on double disk and Blanchard applications. Buckeye TLSG-25 is an excellent product for most machining and grinding applications and exhibits superior perfomance on difficult materials such as Stainless Steel, Inconel and Hastalloy. Buckeye TLSG-320 provides superior performance on difficult materials but it is also outstanding for machining and grinding of Aluminum. Buckeye 1973SP Blue is suitable for most machining and grinding operations but was designed to provide optimal performance on spline rolling. Buckeye TLSG-2C was developed to provide excellent performance on carbide grinding while preventing any leaching of cobalt. 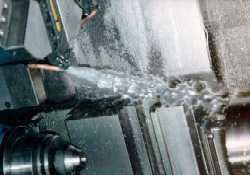 Buckeye SPREP-9B is a superior coolant for machining grinding of ferrous metals and difficult alloys but offers particularly oustanding corrosion protection.